We are just two and a half hours north of New York City via a beautiful train ride up the Hudson River, an easy day trip from the Berkshires or Saratoga Springs, and across the river and just north of Albany, NY. We are also just under three hours by car from Boston or Montreal. 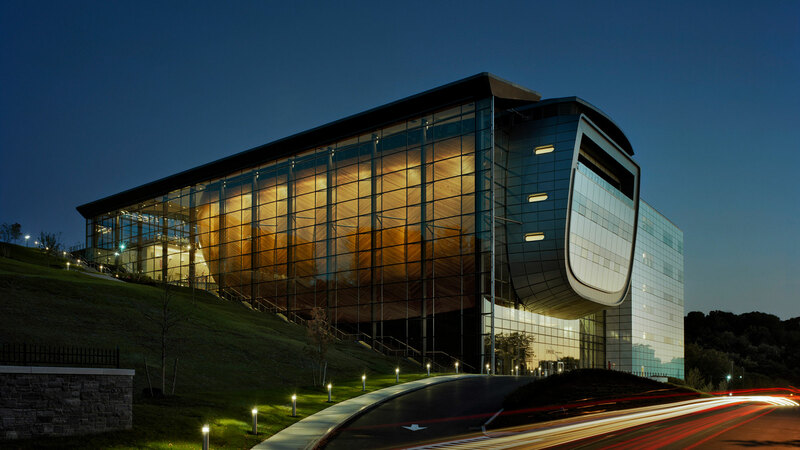 Located on the campus of Rensselaer Polytechnic Institute, the nation’s oldest technological research university, EMPAC overlooks Troy, a city that played a central role in the Industrial Revolution and that still preserves some of the 19th century’s best architecture. We are closed: Memorial, Independence, Labor, Thanksgiving, and day after, Christmas week, New Years, Martin Luther King, and President's Day. Additional building hours for events and exhibitions. Our café offers a menu of meals, snacks, and beverages as well as a selection of wines before all performances, screenings, and talks. Service continues during intermissions. Evelyn’s is also open weekdays from 11AM–3PM daily for lunch featuring a rotating menu using locally-sourced ingredients. On most Wednesdays, the student-run Terra Cafe serves a weekly menu of local and organic foods featuring a meat and vegetarian option as well as dessert from 11AM–3PM. In addition to cash, Evelyn's will accept all major credit cards, RAD, and FLEX payments. The main entrance and box office are located on the EAST (campus) side of the building. For events, please park in the College avenue parking garage adjacent to Cogswell Laboratory. The East campus entrance is also the accessible access to EMPAC. Please visit our Accessibility page for more detailed information. Note that parking on 8th Street requires using stairs to the third floor where there are elevators in the corridor hallway.